Payment Date – Within the first 14 days of the month. Country Restrictions for Players – Afghanistan, American Samoa, Guam, Iran, Iraq, Israel, Moldova, EU, EU, U.S. Minor Outlying Islands, U.S. Miscellaneous Pacific Islands, U.S. Virgin Islands, Ukraine, United Kingdom, United States. Player Issues – The Tranello Group of Companies. One of the casinos in this group – Buran Casino – has advertised themselves as holding out Deposit Guarantee seal without our approval. This group has subsequently been in contact with us to apologise for this “mistake”. We are viewing this as an error, however we view our seal as a serious undertaking and this as a significant error. Their properties have started at Needs Work status and will be given a probationary period. 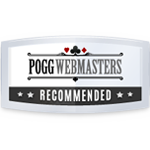 For references see – https://thepogg.com/casino-review/casino-reviews-appendix/#Araxio_Development_NV. Affiliate Issues – We are not aware of any unresolved affiliate issues. 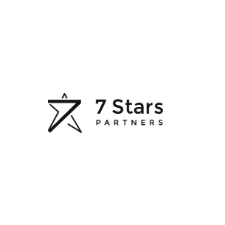 7Star Partners are offering a revenue ladder that begins at the highest levels that most reputable programs will offer. We have some concerns about the sustainability of paying this level of revenue. Alongside this 7Star Partners carry a Minimum Activity Quota if 7Star Partners go straight to Not Recommended for this term.